Prison is a place full of tough guys who are just looking to prove it. Make eye contact with the wrong person, and you may find yourself in the infirmary. Do not go into someone’s cell without their permission. 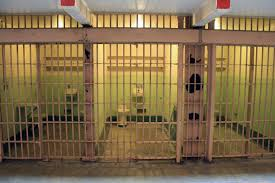 There’s precious little private space in a prison, invading someone else’s is a surefire way to incite violence. Unfortunately, racial tensions run very high in prison. When things go down, people are going to stick with their own. Don’t get caught up on the wrong side. Weakness never leaves you in prison. Even though they’re “supposed” to be places of rehabilitation, it’s not unlikely that you will be forced to be violent or risk constant violence against yourself. Much like with many aspects of the outside world, you’ll never get out of a debt in prison. If you borrow something from someone and they say it’s a “twofer”, they’re saying it’s a two for one; in other words, you owe them. Keep all of these things in mind and your prison stay should go a lot smoother. If you should find yourself facing a criminal charge, ATX Bail Bonds can help. For more information, just give us a call at (512) 834-2245.